By Jack Neff and E.J. Schultz . Published on June 12, 2017. Agencies invited everyone to the party at Cannes years ago. Now they're the ones with hangovers. Amid concerns the event has grown too costly for an industry grappling with fierce competition from consultancies and dwindling revenue from clients, agencies are rethinking all that rosé. "The sun is setting on Cannes," said one agency exec affiliated with a major holding company. "Clients with each passing year are demanding more accountability. They look at this award show that celebrates a kind of creativity from a couple decades ago. Now it's not OK to be frivolous. It's not OK to waste money." Still, it's hard to say the Cannes Lions International Festival of Creativity flat-out doesn't matter, especially as it keeps getting bigger, tech companies and consultancies keep raising their stakes -- and the clients keep flooding the Riviera. "On its face, you can't argue that Cannes is irrelevant. The better question is, what role does it play credibly in an industry that is defined by much more than simply creative excellence," said Jason DeLand, a partner at Anomaly. "At its worst, it's a boondoggle. Somewhere in the middle is a great place to connect and network and probably at the very top end it's a place to learn and get inspired." "It would be good for Cannes in my opinion to focus on the top end," he added. It wasn't always this way. 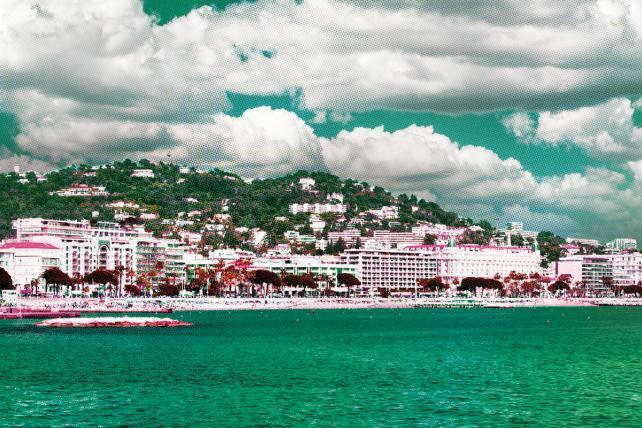 Cannes was once largely an advertising awards festival and boozy bacchanal for creatives. A former account manager for a Procter & Gamble Co. agency recalled looking forward to the third week of June as a peaceful interlude with the creatives away. Then in 2003, Saatchi & Saatchi then-CEO Kevin Roberts helped convince P&G then-Global Marketing Officer Jim Stengel to send a big delegation. More clients followed. Account executives piled in to handle clients. Media companies, tech firms, startups and consultancies swarmed in to pitch for business. Boat slips around the Palais des Festivals convention center filled with party yachts as the beaches were conquested by Google and Facebook. Seeking new ways to fill its swelling coffers, Cannes added three sub-festivals in the past three years for Health, Innovation and Entertainment and more big-ticket award categories. Agencies ponied up for ever more entries and pricier rentals for space, all for a dwindling drink from the Cannes flute. For perhaps the first time, some agencies are making a concerted effort to pull back from Cannes—as opposed to merely paying lip service. WPP CEO Martin Sorrell told Ad Age last year that his agency may need to "rethink" its engagement with Cannes, given the growing sprawl and expense. He'll be back this year, but according to an internal memo obtained by Ad Age, likely with fewer people and award entries amid a broader cutback. Its big clients such as Unilever and Procter & Gamble Co. alone are looking to cut a combined billion dollars out of agency and production costs, which puts a damper on the party. A WPP spokesman declined to comment on Cannes plans. But a person familiar with the matter said the holding company has "been more careful, given the market conditions." As part of its own broader belt tightening, including a ban on nonessential business travel, Dentsu Aegis Network is looking to "significantly" reduce the 350 people it sent to Cannes last year, according to a memo reviewed by Ad Age, limiting the trip to only "critical attendees" with prior approval from line managers. "Cannes remains an important global event for our clients and our network" a spokeswoman said, and spending will be "consistent with related client and business needs." It costs agencies roughly a minimum of $8,000 to $10,000 to send one person to Cannes, and the price tag can grow way beyond that depending on food and entertainment spending, according to agency executives. Realistically, when business is bad, sending people to Cannes looks bad. And revenue is under pressure across many agencies and holding companies right now. Pivotal Research analyst Brian Wieser estimates organic revenue growth at the five leading agency holding companies was only 1.7% last quarter, continuing a steady decline from the 4% rate in the first quarter of 2016. He cites growing scrutiny of media fees in the U.S., budget cuts by large marketers, more "in-housing" of creative work and competition from IT firms. Employment at U.S. ad agencies fell to 199,100 in April, the lowest number since April 2016, according to Ad Age Datacenter's analysis of Bureau of Labor Statistics data. But Cannes spending can ebb and flow on a yearly basis along with individual agency business conditions. After a series of business losses and a sabbatical to make a film, McGarryBowen U.S. Creative Director Ned Crowley decided to skip the trip to Cannes last year with his team. "We were suffering from business being down," Crowley said. "We were downsizing. It didn't seem like the right optics." But with business on the upswing, Crowley and some of his creatives are returning to Cannes this year. He's even speaking at the Palais about his movie project. If agencies really do put a dent in Cannes' growth, it will be a big reversal. Ascential, the public company behind the festival, says revenue soared 18% on a currency-adjusted basis last year to $72 million (up 30% in nominal terms). That came on a 5% increase in paid attendance to more than 10,000 and an 8% increase in award entries to 43,000 -- meaning the festival grew revenue much faster than volume. Plus it has embraced 23 "Official Fringe" events that drew 16,000 participants. And those three sub-festivals added in recent years accounted for nearly $8 million in revenue. Thanks to the Ascential IPO in 2016, this is the first year that agencies and others have had a real sense of how much Cannes collectively earns. But beyond the financial issues are some deeper concerns about Cannes. Crowley is among many who see the influx of tech companies taking the focus off creativity and the Cannes sprawl leaving less time to see work or even do some types of work. He once used Cannes to meet new directors, something he said has become rarer as many have stopped coming, citing the rising expense. Michael Fassnacht, president-CEO of FCB Chicago, who has attended Cannes 10 years in a row, said the festival has two sides: "It is an inspiring meeting of some our most fascinating global talent and a showcase of the best and most intriguing creative work across many disciplines. The different side to Cannes is that it can act as the sun-drenched party zone of some self-acclaimed marketing rock stars who love to celebrate their own brilliance." Rodolfo Echeverria, VP-global creative for Coca-Cola Co., which was Creative Marketer of the Year at the 2013 festival, said the event "plays an important role in keeping the industry in the spotlight and giving exposure to a broad sample of work." But agencies "have to acknowledge that their clients are more than ever concerned about driving revenues and profits—much more than winning awards," he added. Work is frequently awarded just because jurors find it interesting, Echeverria suggested. "I wonder if the results would be different if the jurors were all CEOs or if the success criteria for the campaigns were economic value generated for the respective brands," he said. Cannes does have a Creative Effectiveness category where nearly half the judges are marketers. But even in this category, limited to short-listed or awarded work from the prior three years, results and effectiveness account for only half the score, with the rest split between the idea and strategy. In other categories, effectiveness counts for 20% to 30%. The number of Creative Effectiveness entries plunged to 109 last year from 160 the year before, bucking a trend of more entries in categories less scrutinized for their business results. The Creative Effectiveness Grand Prix Winner -- "Monty's Christmas" from Adam & Eve/DDB for U.K. department store John Lewis, the touching tale of a boy and his penguin pal with surrounding in-store and charitable tie-ins -- was responsible for $172 million of revenue growth and a fourfold spike in WWF penguin adoptions, according to its entry. Rob Reilly, global creative chairman for McCann Worldgroup, and Mark Tutssel, chief creative officer of Leo Burnett, both said they gave extra weight in Cannes judging last year to work on for-profit clients out of concern that too many honors for nonprofit work were steering creatives away from for-profit brands. But business success remains often slippery. "It's really hard to quantify what this has done for sales," said Reilly of REI's "#OptOutside" program from Venables Bell & Partners, which won a Promo and Activation Grand Prix and the Titanium Grand Prix, the top honor at Cannes. The "anti-promotion," which closed stores on Black Friday so people could go outside, at least didn't seem to hurt sales, which rose 9.3% for the full year. "The Swedish Number," a campaign from Ingo Stockholm for the Swedish Tourist Association, set up a phone number for people from around the world to talk to random Swedes about Sweden. It won a Direct Grand Prix and Titanium Lion, but had questionable results. Overnight stays in Sweden did rise 3.5% last year, according to the European Union's Eurostat, as reported by TheLocal.se. But other Nordic countries saw faster growth, including 11.4% next door in Norway. Sweden also had a lower proportion of overnight stays coming from abroad -- the whole point of the campaign -- than other Nordic destinations. Burger King's "McWhopper" from Y&R, which challenged McDonald's and others to join in making a hybrid burger on Peace Day, was another big hit last year. It won the Grand Prix in Media and Print and a Titanium Lion. And U.S. and Canada same-store sales rose 5.2% during the quarter it ran in 2015. But while marketing generally got a shout-out from Restaurant Brands International CEO Daniel Schwartz at an earnings call, he didn't mention "McWhopper" by name. He did cite two-for-$5 Extra Long Jalapeño Cheeseburger and Fiery Chicken Fries. "I'd rather win an Effie than a Lion any day of the week," said one agency executive, referring to an awards program laser-focused on what actually worked. 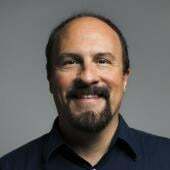 To put more premium on work that solves big brand problems, David Lubars, chief creative officer at BBDO Worldwide, suggested that Cannes limit pro bono work for nonprofits to a single dedicated category. That work is "usually a very single, simple problem that needed to be solved as opposed to a complex, tiered business issue," he said. Work for charities or nonprofits is ineligible to win an ordinary Grand Prix but can win Gold or below, with Gold winners thrown into a pool to compete for the Grand Prix for Good. "There is a misconception that lots of charity work wins awards," a Cannes spokeswoman said, but added that it's a growing issue and one under review. Not-for-profit work historically has won about 10% of Lions, she said. An anomalous rise to 22% in 2015 was followed by only 6% last year. DDB North America Chief Creative Officer Ari Weiss suggested that Cannes organizers donate to charity entry fees for nonprofit work. "It would slightly de-incentivize Cannes to create all these extra categories for this type of work because it wouldn't be a profit center." Today, Cannes Lions donates to charity fees for the category known as Glass: The Lion for Change, for work that "celebrates culture-shifting creativity." In the end, concern about Cannes' effect on advertising year-round is another sign of its continued relevance. McGarryBowen's Crowley said some clients over the years had made winning Cannes Lions a goal. Others bar award entries, to keep Lion-chasing from influencing work. To improve the portrayal of women in advertising, Badger & Winters founder Madonna Badger convinced Cannes to adopt guidelines against ads with gender bias. Despite grousing, largely from agencies, many marketers still like Cannes. P&G Chief Brand Officer Marc Pritchard has joked about the risk of getting on any boats leaving the dock, lest his people be forced to buy something before coming back. But he's tried to stick with P&G's focus of teaming brand and agency people at Cannes to jointly see work and draw inspiration. "P&G's ambition is to be the best at creativity, and Cannes is a great way for us to be inspired by the best creative work in the world and to raise the bar," Pritchard said. The company is sending about the same number of marketers as in years past to "take the inspiration to be the best back to their teams." Hyundai Motor America Chief Marketing Officer Dean Evans this year is taking his first trip to Cannes, traveling with people from his agency, Innocean. "I want to learn from a lot of other smart people and hopefully bring back better strategies for me and my team to use," he said. "For me, bigger is better there." The size and variety of players at Cannes also count as positives for Keith Weed, chief marketing and communications officer of Unilever. "It's a great opportunity to bring the industry together, not just to focus on the work we all do, but also to spotlight the big issues that need to be addressed across the sector -- tackling the issue of unhelpful stereotypes in advertising, for example," he said. The size just means better personal planning. "The way to win at Cannes is to plan early and pack it all in," he said. "My Cannes agenda is full from morning to night, and I use it as a chance to see people who are not based in London and those I wouldn't usually get to meet. It's a very efficient way of seeing a lot of people and getting a lot done in one week." Weed doesn't have any problems with the number of awards going to nonprofits either. "It is up to brands to attract the best, most talented people to work on their campaigns," he said, adding that work for nonprofits may ultimately "make them a more well-rounded creative." But Unilever won't be continuing the Foundry 50 program with which it brought top marketing-tech startups to Cannes each of the past two years. The company's Foundry program continues, but "we are focusing on taking this event further afield to other regions/events around the world," a spokeswoman said. 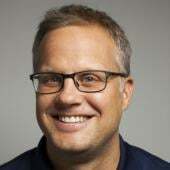 Marc Speichert has been at Cannes for years, as a marketer with L'Oréal, working in client services for Google and this year as chief digital officer of GSK Healthcare, whose executives he met with at Cannes last year while at Google. The festival was "more intimate back in the day and focused on the creative agenda," he said. And while some have complained about Lions Health segregating the industry from the festival, Speichert likes that it restores some of the intimacy of the old Cannes. "To me, that it's become such a mass event has made it a little less attractive," he said. He treats Cannes as "a learning expedition" that he builds around a theme, which this year will be "building meaningful brands in a data-driven world." Speichert plans to be at Cannes during the early week, which includes Lions Health. And he expects to spend around half the time with agencies, half with other types of players, with agencies sitting in on and arranging many of the meetings. To the extent agencies pull back, others may fill some of the void. Media and tech companies in recent years have staked out bigger chunks of the beach and more slips for yachts. Facebook has held its own awards for client advertising in recent years and occupied much of the central Majestic hotel. Ascential CEO Phil Thomas said he also expects more entries from consultancies this year. If traditional agencies spend less on awards, however, it's unclear how much such others will pick up the slack. Tongal, a network of independent creative talent, has been trying to move into higher-profile assignments for big clients, but submitted just one award entry last year -- which made the short list -- and has one more this year. For the second year, Tongal is sending a couple of people to Cannes for meetings. But submitting hundreds of award entries and throwing lavish Cannes parties doesn't exactly fit with Tongal's low-overhead business model. "The cost is more about preparing the case study and managing the entry than the hard cost of submitting the award," said James DeJulio, co-founder, president and chief creative officer of Tongal. The festival may simply be reflecting the changing landscape of marketing and its players, said Stengel, now a consultant. In 2003, P&G's first year there, Microsoft was a major Cannes sponsor. Later came Yahoo. Now Google, Facebook and Snapchat are big players. Apple and Amazon have yet to plant their flags along the Croisette. But Deloitte this year is sponsoring the "Young" academies, including the Young Marketers and CMO academies Stengel runs. "It is an awards show, of course, still," Stengel said. "But I think they realize the world has shifted, and the kind of advertising they were once awarding is not as dominant or as prevalent as it once was. The industry has moved into a very different space. If you're a data scientist or writer or client or musician, you're looking for different ways to come with a creative solution. That's what they're trying to be. If Cannes stopped for some reason, I don't know how else you could gather that group of people." IBM has gone in three years from simply sending a delegation to running a small cabana on the beach behind the Palais, to this year operating a larger beach space that will host panel discussions and "experiences" with Watson artificial intelligence, said Babs Rangaiah, executive partner-marketing of IBM iX and a longtime Cannes veteran from when he was with Unilever. Cannes has less focus on the work in favor of becoming the biggest marketing show on earth, he said, calling that a good thing. "It's everything you can think about in a central event that brings it all together in an incredible location right in the middle of the year," Rangaiah said. "It blows away anything that happens at CES or South by Southwest or anything else. At South by Southwest, you might see more startups. At CES, you might see more devices. But Cannes really gets to the heart of what we're trying to do as marketers and agencies and all the people in between. What used to be purely a creative festival is now one with all the aspects of marketing."